A virtual mailbox service is a digital service that can be accessed by any computer, tablet or smartphones. It can be used to receive, forward, or discard any emails and packages from the mailbox. It has made the management and delivery of traditional mail and packages easy. The service scans the outside of packages and envelopes when the mail arrives. You can then view the scan of your incoming mail and decide whether to ship the items to you or not. Some services also scan the content of mail for you. These services also provide free cloud storage. You can get rid of mail clutter. You may not realize, but every day you waste some of your precious time dealing with that pile of useless emails in your mailbox. You need to log in to your virtual mailbox account and scan through all the items and click whether to discard or save each piece. It saves time. You don’t need to waste time going to the post office or checking your mailbox. All you need to do is log in to your virtual mailbox account, scan the documents, and respond to them immediately. You can stop changing your address when you move. It becomes a real hassle when you are n military or in a company which runs you around a lot. You can launch the change of address process online by the USPS website. It triggers the mail forwarding service for 12 months, i.e., you have 12 months to ensure that with every company you have dealt has your new address. It has the best mail scanning service. Virtual Mailbox service provides high security of documents. This service provides reliable Letter Mail delivery. 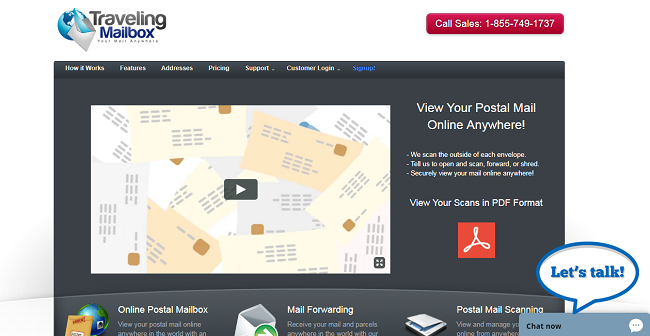 Using PostScan Mail service you can control mail deliveries online from any location. They are one of the top 3 virtual mail service provider in the U.S. It offers complete security. 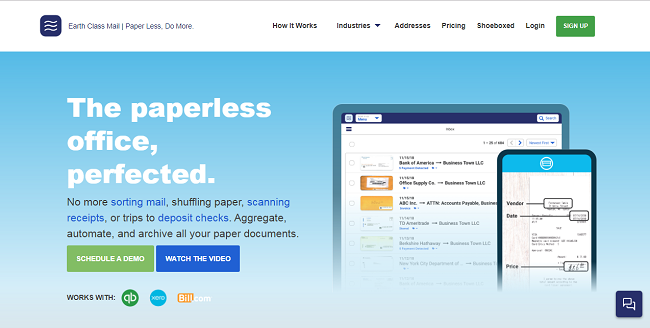 You can perform mail scanning, mail forwarding, physical mail storage, shredding, recycling, mail archiving, adding multiple users, and can filter the emails. You can perform all these activities in just three steps. The most basic plan starts from $9.95 per month. First, select a mailing address and a plan. Fill out the USPS consent form which allows them to receive mail on your behalf. Second, when they receive your letter, they scan an image of mail item or package and make it available to you online. Now, your emails can be accessed from any web-enabled device. Lastly, you need to log in to your virtual mailbox and decide what to do with each of your mail items. This service provides 30 days of free storage of physical items. PostScan Mail offers 55 local mailing address nationwide. You can find more information about that here. Earth Class Mail also provides the best office mail automation services. Services which their package includes are Virtual mailbox, mail forwarding, mail scanning, mail storage, and secure check deposit handling. These services provide a complete and secure makeover of traditional mails into a digital mail platform. This service offers both standard and premium virtual addresses. You can choose three subscription plans. Also, it has high scalability, i.e., you can quickly move from a lower intention to a more top plan. High-quality mailbox services are provided by this service such as an online postal mailbox, mail storage, US Postal Service, filtering of emails, mail scanning, and many other services. This service offers both standard and premium virtual addresses. It offers Letter e-mail services. Another feature of this service is keyword tagging which allows you to search and retrieve your documents quickly. Traveling Mailbox provides unlimited cloud storage. It provides mail forwarding services to foreign individuals who require a U.S address. You can choose any one from 4 subscription plans. Also, it is cheaper as compared to Earth Class Mail services. The service has high scalability. It provides parcel providing services to individuals or businesses who require a U.S address for trading purposes. It also has an online management portal through which you can manage your digital documents online efficiently. This service is also cheaper than Earth class Mail services. It also provides all the essential virtual Mailbox services. This service offers both standard and premium addresses. It has 3 subscription plans. This service has no service downtimes. Mailbox Forwarding Service provides free mail shredding. This service is also cheaper than Earth class mail services. It is a virtual Mailbox service for people who require a U.S address. 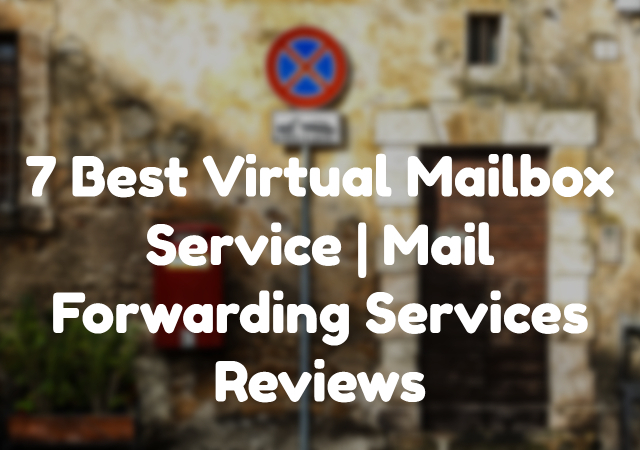 This is one of the longest running virtual mailbox services. This service provides open-mail scanning. Also, this service has reduced shipping rates. These above virtual Mailbox and Mail forwarding services allow you to manage your emails quickly and efficiently. All the services have tremendous customer support. Also, these services provide high scalability and are reliable and secure.